This is the season for holiday parties and winter weddings! But what should we, as the guests, wear to the affair? What does the dress code requirement listed at the bottom corner of the invitation even mean? Black tie, Creative Black Tie, Black Tie Optional, Warm Weather Black Tie, Cocktail Attire, Elegant Attire —-what’s the difference?! 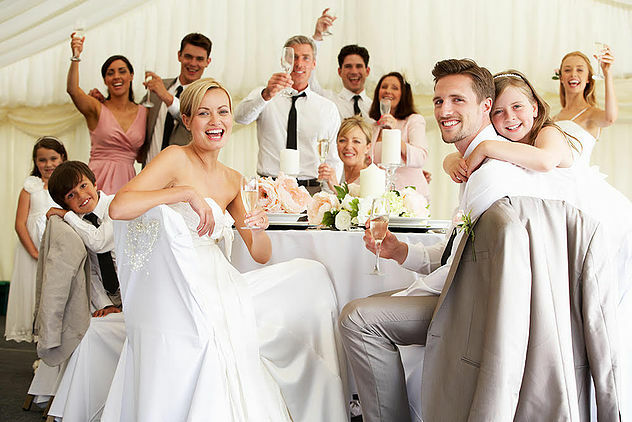 Not to worry, we at AllSeated are here to help you out by decoding the most popular wedding dress codes so that you are always fashionably prepared for the events on your calendar. Let’s start with black tie. 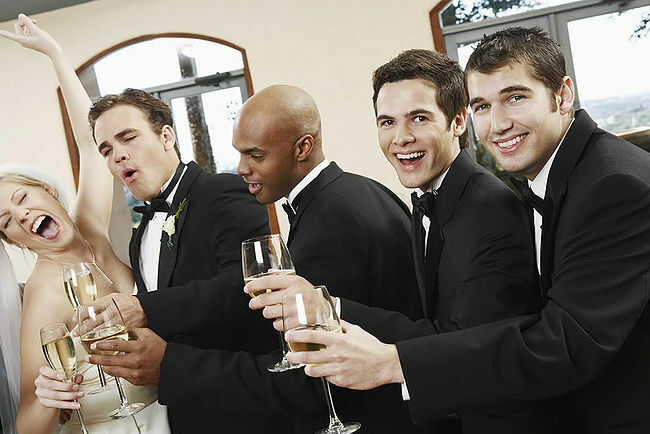 For men, black tie is a fairly easy dress code term which means, wear a tuxedo. For women however, it can be more complex. Black tie attire for women can be a long gown or a short dressy dress. Work functions which request black tie attire most often see women arrive in cocktail attire such as a short dress (on the dressy side, most often in black) rather than long ball gowns. Creative black tie means just that – get creative with your black tie wardrobe. Like a trendy version of the traditional black tie, men should feel free to wear a black shirt instead of white shirt or even choose a red bow tie or a long black tie. Warm weather black tie takes into account the climate for the event and how to dress accordingly in order to reflect the season and mood while offering comfort to the guests. Men may choose to wear a light colored jacket in place of the traditional black jacket. Women, while remaining elegant and dressy, may choose a lighter colored gown or short dress. When you see the word “optional” included in a black tie description, this is giving men the freedom to wear either a tuxedo OR a dark suit instead. Men do not need to wear a bow tie and women have the option to wear a ball gown or a less fancy dress/shorter dress length if they so desire. This is the most formal of all wedding dress codes! Think state dinners and academy awards, Oscars. Men should wear a tuxedo, a long jacket with tail, vest, bow tie and white gloves are considered appropriate. Women are seen in full length ball gowns of neutral color with glamorous makeup and dramatic jewelry. Should you receive an invite that requests formal attire, the host is suggesting that you wear something similar to a black tie optional. Tuxedos are not required but, the event may be formal enough for you to wear one if you would like. For men, button down with jacket, no tie required. For women, short cocktail dresses and long dresses are okay too but typically not a ballgown style. Be sure to pin this post as a reference for your upcoming weddings and events!